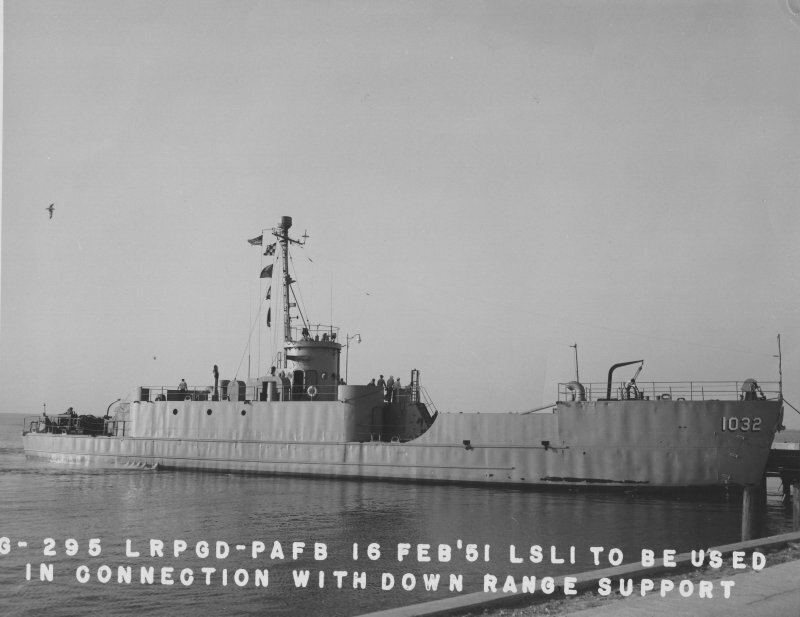 ↑Ex-LCI(L)-1032 moored pierside while in service as a US Air Force down range vessel at Cape Canaveral, FL, 16 February 1951. US Navy photo from the US Naval Historical Center. Image courtesy of NavSource.